Sometimes glitzy hotels, comfy motels and even glamorous camping just isn’t your thing. You would rather stay somewhere that means more adventure and more discovery. Somewhere so unique and unusual that takes you off the beaten track and into surroundings you’ve never been before. Wake up in the weird, wacky and just plain different. It’s all within reach here in South Australia. So, browse over our best recommendations for unique stays in SA and be the first of your friends to knock these off your bucket list. Leave no stone unturned. 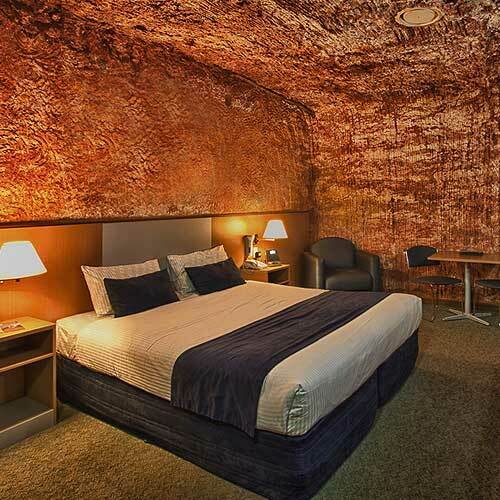 Yes, we did mention that hotels were to be looked past for unique adventure stays in South Australia, however the Desert Hotel in Coober Pedy truly is a diamond in the rough. 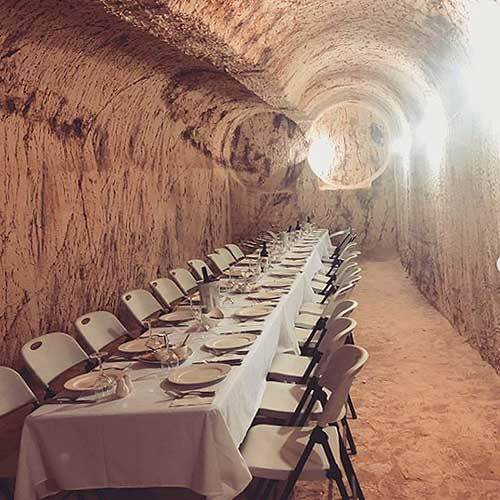 The Desert Hotel is an unusual form of accommodation but is one of very few places in SA where guests can sleep underground in a hotel room. Many previous guests have even mentioned that staying here has meant the best sleep they have ever had because of the cool climate. 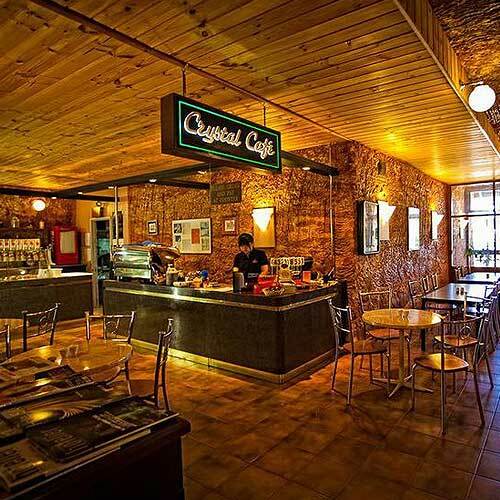 Coober Pedy is also famous for opal mining and many shops, bars and opal displays are also located underground in the town. Photos by Payten Castle and The Desert Hotel. Ever wondered what it’s like to sleep in a real treehouse? Well now’s your chance to try some weird accommodation! Located in Bridgewater, just a short 20-25 minute drive from Adelaide is the Enchanted Treehouse. 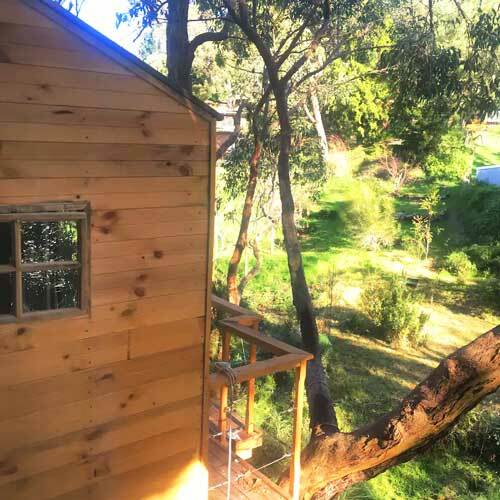 Perfect for couples are anyone wanting to relive their youth, this little room high above a native eucalyptus tree enables two guests to stay for as long as they’d like. The treehouse is small but cosy and comes fully equipped with everything one (or two) needs such as mini cooktop, a balcony, sofa and pull-down (from the ceiling) bed. Let your imagination run wild or just snuggle up amongst nature – it’s up to you. Photo by The Enchanted Treehouse. Who says shipping containers are just for transport? Well think again! Just a short half an hour’s drive south of Adelaide you can find yourself living and sleeping in a fully refurbished and decked-out shipping container – some crazy accommodation for a couple’s retreat. 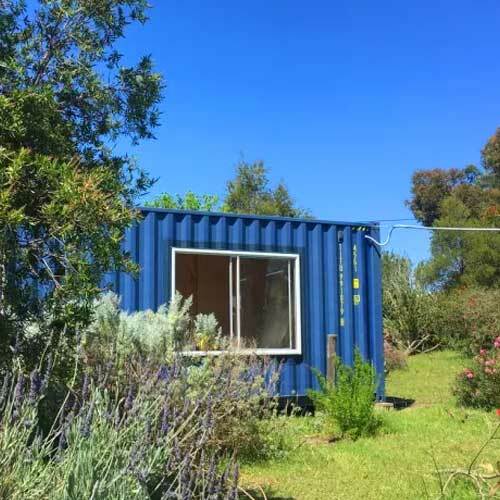 This 12metre (length) x 3 metre (height) container sleeps two guests and may seem somewhat cramped but is a great escape to have a very different and unique stay in South Australia. Container 65 is also tucked away amongst the wildlife of Kangarilla and overlooks the many vineyards of nearby McLaren Vale (famous for world-class wineries). So, if and when you do want to go out and stretch your legs, there’s plenty of room just on your doorstep. This is also not to forget the large deck area adjoining the accommodation which is a great place to relax too. Photo by Container 65. Located on the fringe of Adelaide, the Fire Station Inn (despite its name) was actually an inn in the 1800’s before it became an operational fire station in the early 1900’s. Thankfully now it has been re-established as a very unique but comfy place to stay – even with a five-star rating. The inn has been delicately re-stylised with four bedrooms and three adjoining spa bathrooms. 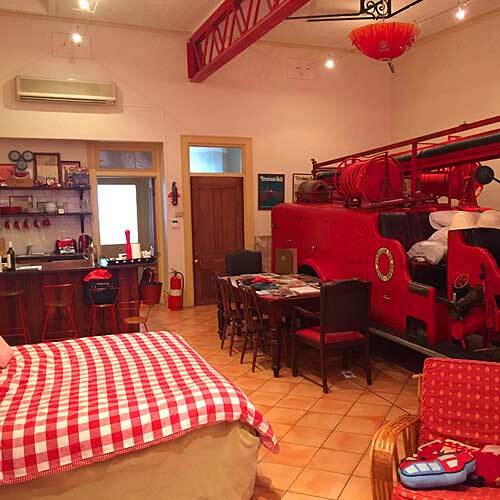 However, its most unique and notable feature is the old-school fire engine which sits in the main living room, adding that ‘firey’ touch. So, bring out the inner fireman in you or just stay somewhere out of the ordinary. Photo by The Fire Station Inn. 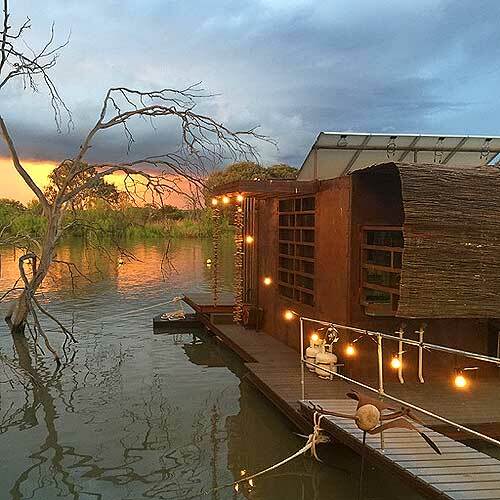 Yet another niche little abode to rest your weary head is a floating ‘pod’ called ‘The Cube’. Ideal for two guests (a great couple’s retreat) this quaint but stylishly furbished home-ette’ is situated right on the Murray River in South Australia. Balancing delicately on the water, what better way to spend a weekend away or just a day or two by yourselves. The rental even comes with two kayaks as your crazy modes of transport for the river. So, if you’re wanting a traditional Aussie getaway with a bit of a twist we suggest you check out this unusual but tranquil escape. Photo by The Cube.